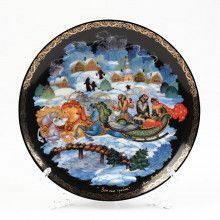 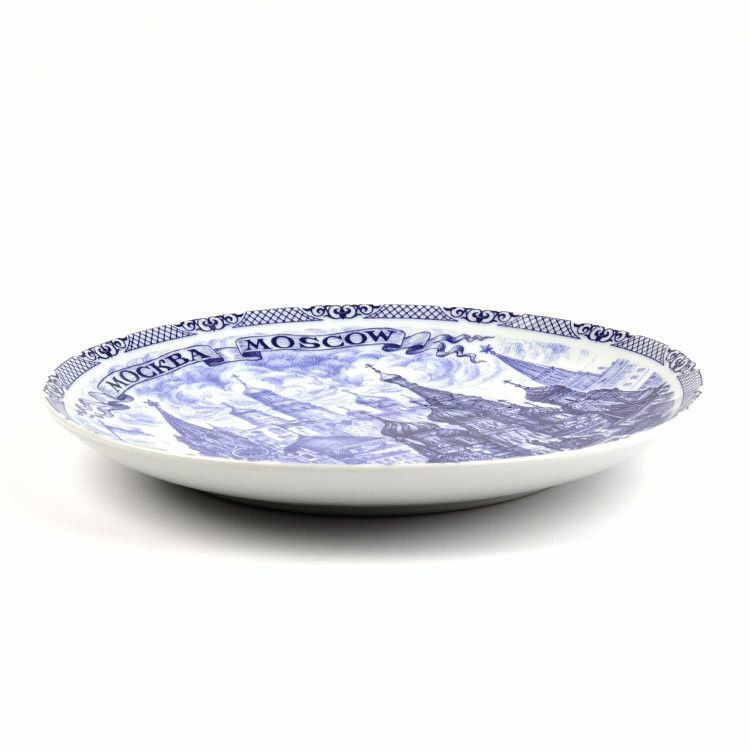 This beautiful blue Gzhel style plate is part of a limited porcelain series called "The best views of Moscow." 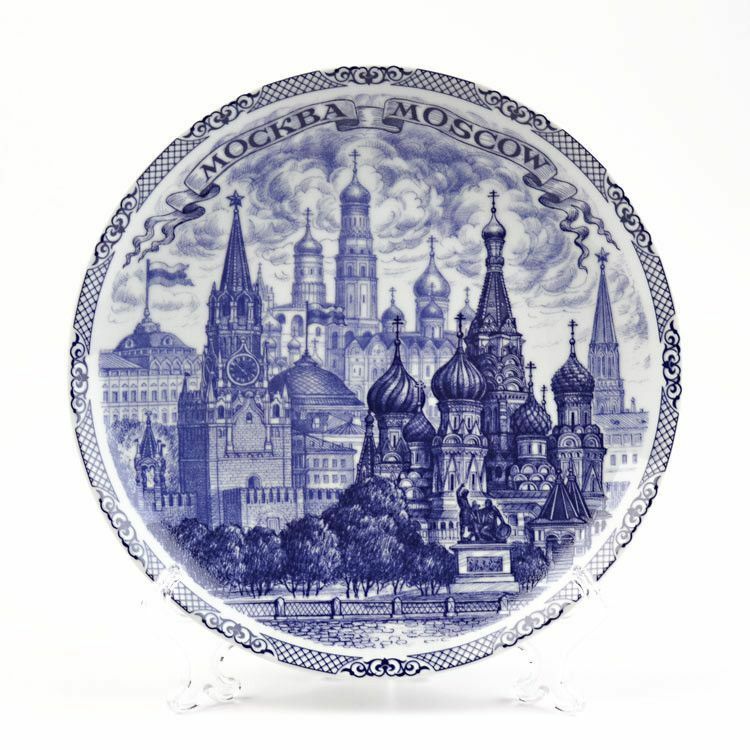 All the buildings you see expertly hand crafted on the front are listed on the back in English and in Russian. 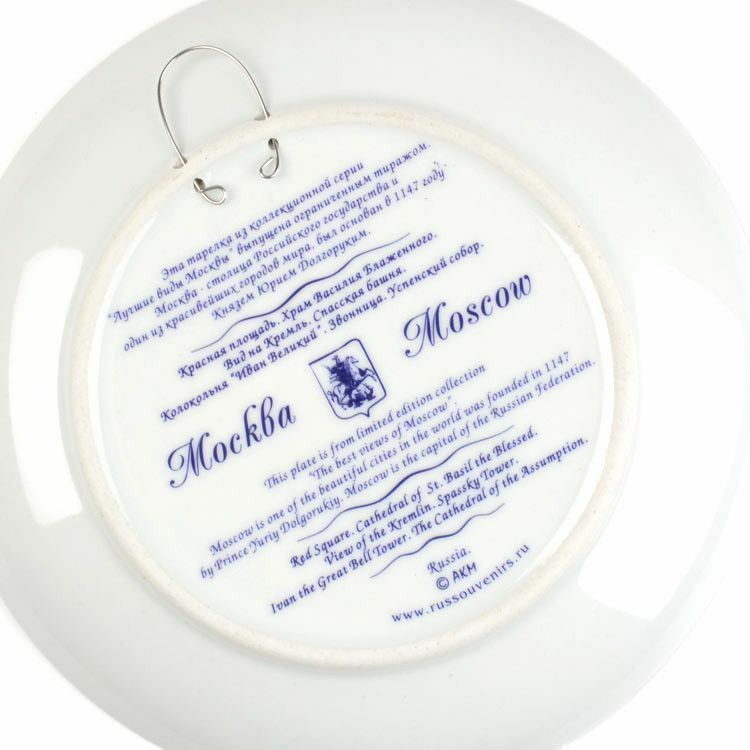 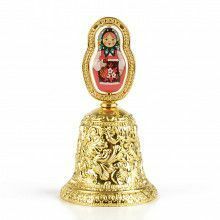 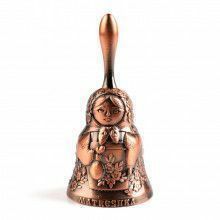 This art piece is a lovely souvenir from Russia, and it looks great on the included stand or hung on a wall with the metal hook. 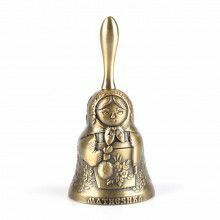 It ships in its original Russian box. 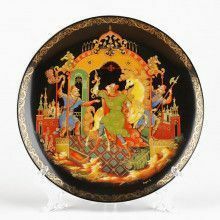 Approximately 8" diameter.